This is one of the stories I did during my internship at The Jakarta Globe. I thoroughly enjoyed interviewing Jenkins, the Australian journalist, who was very inspirational and made me really wanna jump up, hit the streets and dig up a good, juicy story. NOT MANY PEOPLE CAN CLAIM that they were literally part of history. But retired Australian journalist David Jenkins, who was banned by President Suharto from Indonesia for eight years, may be one of those who can actually truthfully make this claim. Over his four-decade journalism career, Jenkins has had a keen interest in Southeast Asia. He worked as a correspondent for the Far Eastern Economic Review from 1976-84, when he covered Indonesia as part of his assignment, and as an editor of the Sydney Morning Herald and The Times on Sunday from 1985-2004. 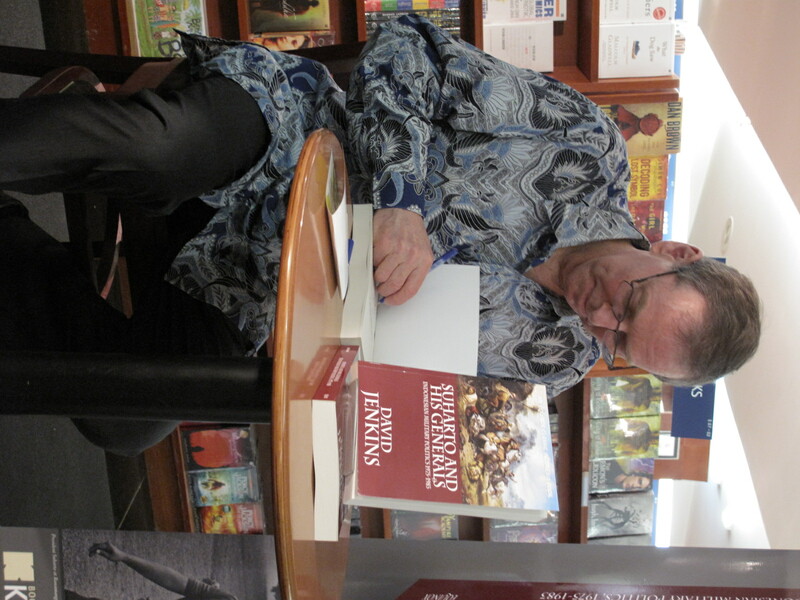 Jenkins has also written a lot on Indonesia, including a controversial book and story that had far-reaching diplomatic consequences. The English edition of the book was republished by Equinox Publishing and the Indonesian edition published by Komunitas Bambu. The book was originally published in English by the Cornell Southeast Asia Program Publications in 1984. “Suharto and His Generals” was banned in Indonesia in 1984 due to its in-depth and critical analysis of the political situation at the time. It tackles the complex military and the parallel government political structure of the country, as well as opposition against the state, which was mainly led by retired generals. Jenkins described Suharto, who was in power for 32 years, as someone who kept his subordinates guessing. “The story of Suharto is of someone who made good despite a very troubled early life,” Jenkins said. My personal tribute to this historic area of Jakarta. For original project which you can view on full screen, click here. Kota Tua is known as the old Batavia town of Jakarta, Indonesia. Despite civil unrests, modernization and various changes throughout the years, this place retains its Dutch colonial buildings and legacy. Every weekend, there will be people buying, selling and visiting the museums in this area. A must-go and fascinating place if you ever visit Jakarta. Give me some comments about what do you think of this form of presentation. I’m still trying out various formats! So currently, I’m going into my 4th week at Jakarta, capital of Indonesia, interning at a daily newspaper called The Jakarta Globe. 2. I am not an Indonesia, therefore, understanding local politics is as hard as trying to sprout some latin words out of my mouth, since this country does have a very corrupted and complicated bureaucratic network. As such, I’m currently working on the features desk, and for the first time, attempting to write 600-1000 word long articles. Honestly, I’ve been enjoying myself very much, keeping myself busy with the daily dosage of churning out articles and learning about this place. I have to admit that Indonesia’s a country that is so near to where I was born and bred but had never traveled here before. Alright, a couple of links to the stories that I’ve done so far and hope you’ll all enjoy reading it! 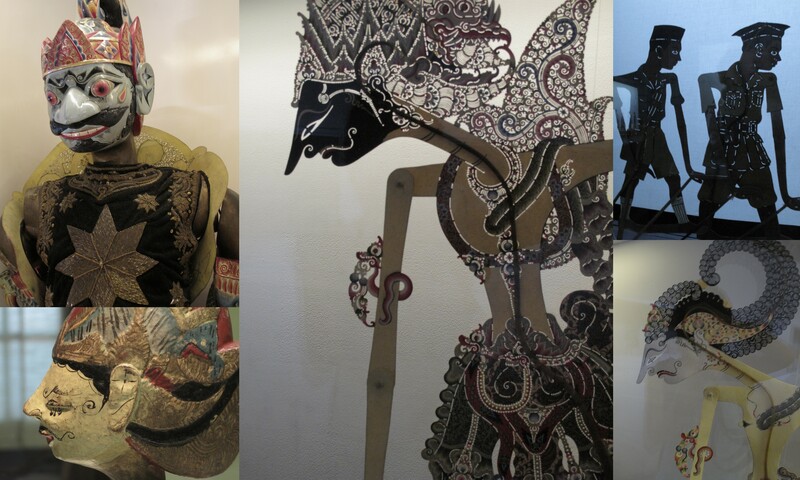 Wayang or shadow puppet as it's known in English. 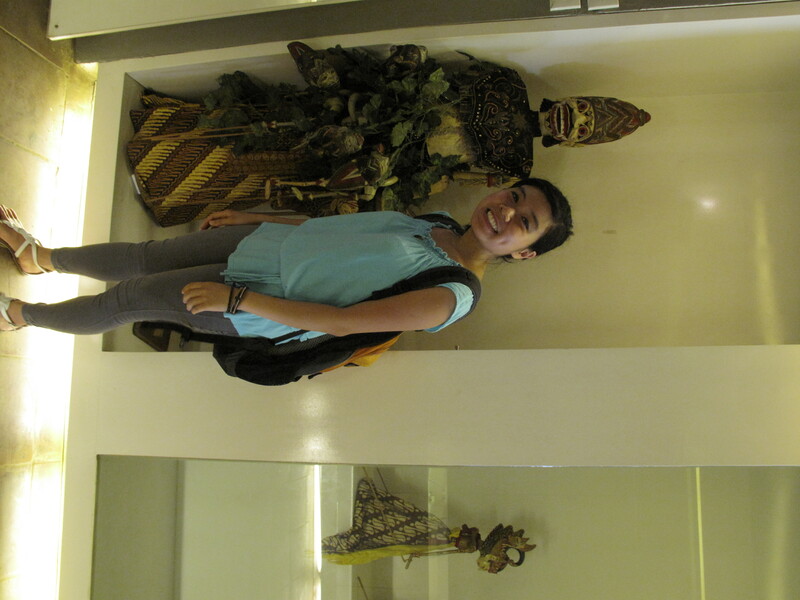 An invaluable cultural treasure of Indonesia that can be quite freaky at times!